If you’re thinking of investing in an MLM business or you are just curious about it, it’s certain that you’re already aware of multi level marketing scams. Information about these scams is quite rampant online, so much so that even potential leads are suspicious of MLM businesses that are totally legit and credible. Many people associate MLM with pyramiding scams and even with just this association; it already sheds a smidge of negative light on all MLM businesses that it’s more difficult to secure leads and customers to grow a network. If you have an MLM business or you’re just starting one, there is always this worry that your business might get mistaken or accused as one of the many multi level marketing scams on the Internet, no matter how helpful and reputable your products or services are. When you have an MLM business, you have to make sure that what you’re exerting effort and investing time to market is something that you yourself have tested and that you’re more than satisfied with what you’ve gained from the product or service. Think about your leads and your potential customers. How will your product or service help them as well? What problems or issues will your product or service solve for various types of people? Is it something that will retain its value in the months or years to come? Is it sustainable? Can it grow and branch out to other valuable products or services in the future? When you have a website and social networking accounts to establish your online presence, you also have to make sure that what you offer to your leads who sign up for your mailing list will help them solve a problem or just help make things easier for them. Think of your leads and your audience and try to discern what exactly they came to your website for. This will help you have an idea of what they do. For example, if they’re established MLM professionals or simply learning the basics before investing in an MLM business, offer tutorials in growing their own leads. Rob Fore’s FREE 5-Day Attraction Marketing Bootcamp is a good example. Also make sure that the information that you offer in your website and all related online marketing avenues are helpful, credible, and of good quality. Conduct your business ethically and legally. Be honest, upfront, and helpful. Always be polite in correspondences whether through email or in social networking sites. This will help build up your reputation and avoid any ruffled feathers that might result in negative feedback. When your downlines and customers are satisfied and happy with your products and how you deal with them professionally, there won’t be any negative feedback or feelings that might result in a complaint, whether it’s online or by word of mouth. When your downlines and customers are happy with you and your business, they will vouch for you and your business, and they will help you grow your business by promoting it to their own downlines and other people they know. Being well informed about what not to do and what not to be like will help you stay focused on doing what you should. This will also help generate fresh ideas or techniques in stepping up your online marketing campaign. Being updated will also help you steer clear of multi level marketing scams that might hurt your business’ credibility and reputation. When you’re well informed about which businesses are multi level marketing scams, you’ll be able to avoid them. Do your own research regularly so that you know the latest news and trends about them. If you have staff helping you with your online marketing, make sure that they’re knowledgeable as well. 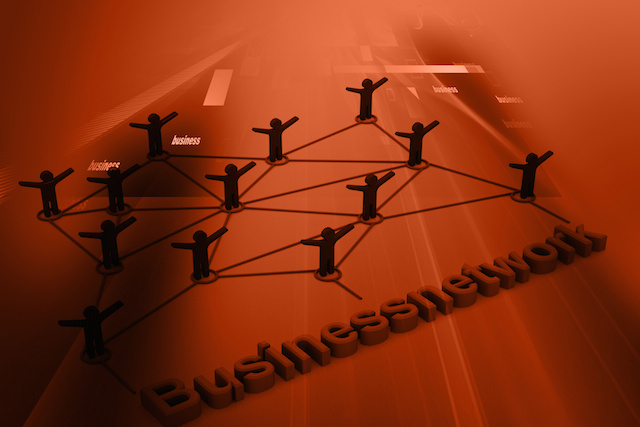 Some people connect with just anyone and everyone in social networking sites and are only concerned with numbers. 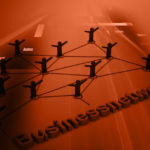 Since you’re avoiding getting associated with multi level marketing scams, it’s best to monitor the people or businesses that you connect with in your social networking accounts so that you’ll be able to avoid getting associated with less than reputable individuals or organizations. In your social media marketing activities, avoid interacting or commenting on websites or any content from multi level marketing scams. If you have staff doing this for you, also make sure to educate them about the importance of avoiding scam websites, accounts, and content so that they do not unknowingly leave your link or your business’ name in areas that you don’t want your business associated with. Doing this will also add value to your own website’s content, because you’re offering important information and helping other people who are also involved in MLM. Just be careful to not mention specific websites or businesses so that you won’t be sued or targeted in retaliation – or worse, mistakenly accusing a business or website as a scam when it’s actually as legit as yours. If people want a list of scams to avoid, there are other websites for that kind of specific information. Be helpful, but it’s wise not to attract trouble in the future. Remember that avoiding scams is just half the battle. Investing time and effort in building your business’ credibility and reputation, and forging trust between you and your downline and customers will ensure that even if your business gets accused as a scam for whatever reason, the relationships and credibility that you’ve built over time will hold strong over any accusation that you might face in the future. The seeds that you’ve sown to grow your MLM business need consistent effort and care, but in the long run your efforts make your business stronger.